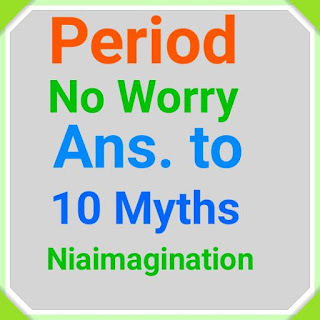 Here are answer to those questions and to get ride of myths. If you have any other useful information about period then share here as comment and let us be aware about, we welcome useful suggestions. Myth: Swimming in the ocean on your period will get you eaten by sharks. Okay, I will totally admit that I’m scared to death of sharks. But that has nothing to do with my period and a lot more to do with the movie “Jaws.” There has never been a documented case of a shark attacking a swimmer because she was menstruating. So, go ahead, dive in and have fun.